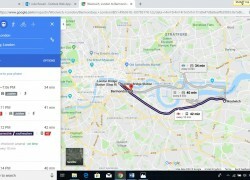 Our journey to London was long and to get to and from London, we had to use various modes of transport. On leaving Foxfield School, we were excited about our day, and where our journey would take us. 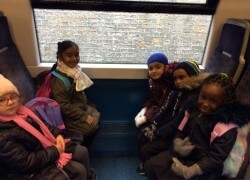 We began with a walk to Woolwich Arsenal Station and then we sat on the train until we got to London Bridge. London Bridge Station was very busy with lots of commuters! 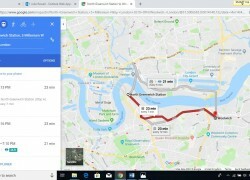 After that, we then walked all the way to Bermondsey station. By this time some of us were a little chilly and others of us were hungry, so we stopped for a quick snack. 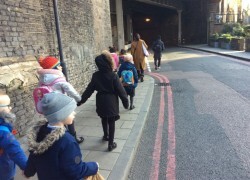 Then continued our long walk to Bermondsey station. 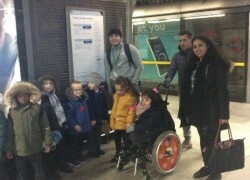 We then travelled on the Overground from Bermondsey to North Greenwich. To get to the platform we had to go on some tricky escalators. The underground was very dark and at some points very loud. We had to hold on tight as it went so fast some of us nearly fell over. We were glad to get on the train as the walk had made us all hungry and our legs were aching. Some of us said we felt exhausted! We ate lunch and then began the journey back to Foxfield, but how were we getting back? What mode of transport were we going to use this time? It was a bus journey back to school. 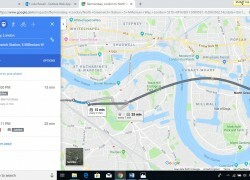 The 472 took us straight to Woolwich town centre but some of us were so tired from the day’s journey we had to close our eyes and rest before another walk back to school. When we got back to class we reflected on how we felt during our journey from start to finish. We felt a variety of emotions and feelings. Our journey today will enhance our feelings and emotions that we write about in English and Topic. We will be able to be more empathetic to the needs of others after our experiences we had on our journey.